Monroe County is a county located in the U.S. state of Michigan. As of the 2010 census, the population was 152,021. The largest city and county seat is Monroe. The county was established as the second county (after Wayne County) in the Michigan Territory in 1817 and was named for then-President James Monroe. 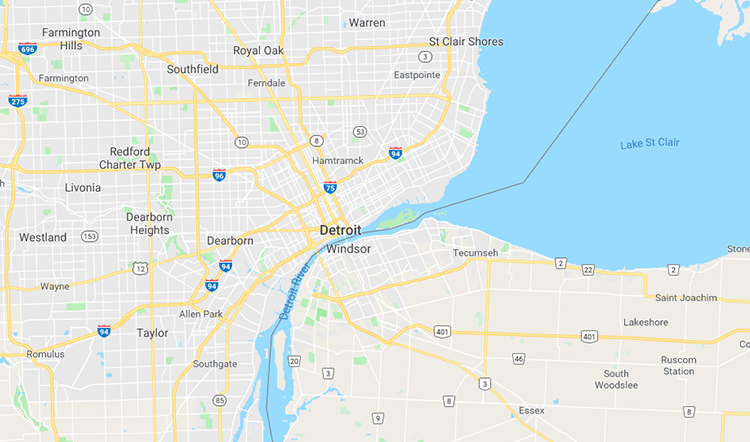 Monroe County comprises the Monroe, MI Micropolitan Statistical Area and is included in the Detroit-Warren-Ann Arbor, MI Combined Statistical Area. It is also considered a northerly extension of the Toledo Metropolitan Area. According to the U.S. Census Bureau, the county has a total area of 680 square miles (1,800 km²), of which 549 square miles (1,420 km²) is land and 131 square miles (340 km²) (19%) is water. Monroe is Michigan's only county on Lake Erie. The River Raisin and Sandy Creek flow through the county. Sterling State Park is the county's only state park and the only of Michigan's 98 state parks located on Lake Erie. The Detroit River International Wildlife Refuge extends south into Monroe County and includes part of the North Maumee Bay Archeological District. Monroe County sits at the lowest elevation in state of Michigan, which is the shores of Lake Erie at 571 feet (174 meters).